Offering you a complete choice of products which include Stainless Steel Storage Products such as Stainless Steel Storage Bin, Stainless Steel Storage Racks, Stainless Steel Bucket and Stainless Steel Mugs. These products have high utility. 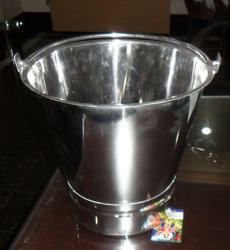 Our valued clients can avail from us premium quality Stainless Steel Bucket. 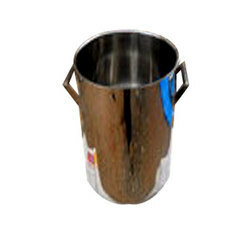 In order to ensure optimum quality, we manufacture these buckets by making use of high-grade stainless steel and effective production techniques. These buckets are suitable to be used at hospitals, clinics for carrying medicines and keeping injections. 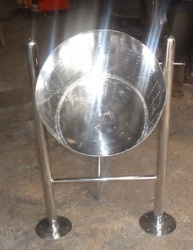 To cater to the diversified demands of the clients, we offer these buckets in different sizes and designs. Backed by diligent team members, we have been able to provide our clients superior quality Stainless Steel Mugs. 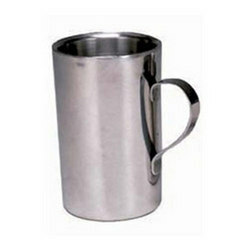 These mugs are manufactured by making optimum use of supreme-grade stainless steel, procured from the most reliable vendors of the markets industry. These mugs are suitable for both commercial and residential purposes. Our valued clients can avail these mugs in different sizes, designs and shapes as per their requirements. Our valued clients can avail from us a remarkably designed Stainless Steel Storage Bin. These bins are designed using supreme quality stainless steel metal and birch woodland, procured from the established vendors of the industry. Furthermore, these products are molded using compounds such as polypropylene so as to ensure enough strength to withstand heat. The offered bins are apt for keeping clothes and toys. 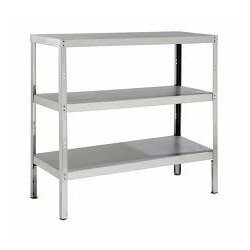 Our organization is engaged offering incredible range of Stainless Steel Storage Racks. Manufactured with supreme quality stainless steel, these products are featured with adjustable multiple rack setting that facilitate organized and bulk storage enormous amount of vessels and products. These racks are designed for food courts, restaurants and hotels. To meet multifarious demands of the clients, we offer these products in wide range of size and shapes at a reasonable price. Looking for Stainless Steel Storage Products ?